Okay, you’ve got my attention. I’ll give you five minutes. Thank you! If you are in business, the chances are that you have something important to say. Something distinct, unique and compelling to make prospective customers buy what you’re selling instead of what competitors are offering*. Articulating this proposition and getting feedback from your prospects is the critically important role of your marketing function. I know this and I already ‘do’ marketing. Why do I need a campaign? Because campaigns do something quite specific. Business as usual marketing (BAU) may do a good job explaining and reinforcing who you are, what you do, how you do it and why anyone should care. And, hopefully, it is the reliable engine that drives your business’s communication to (and from) your target audiences, telling and retelling your story in a way that emphasises continuity and dependability. But as essential as BAU marketing is to inspiring trust and confidence, sometimes a little more oomph is called for and you need to reach for the big guns and fire up a good campaign. So, what can a marketing campaign give me that BAU marketing can’t? Focus – most organisations’ marketing messages are multi-faceted because they offer more than one thing and their audiences are wide and varied. 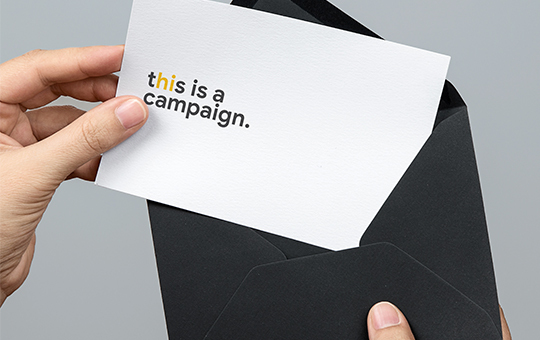 A good campaign is discrete, time-limited and focused on achieving a comparatively narrow set of objectives. It’s a spotlight that picks out a particular aspect of your offer and communicates a singular, focused message that’s over and above your BAU marketing activities. 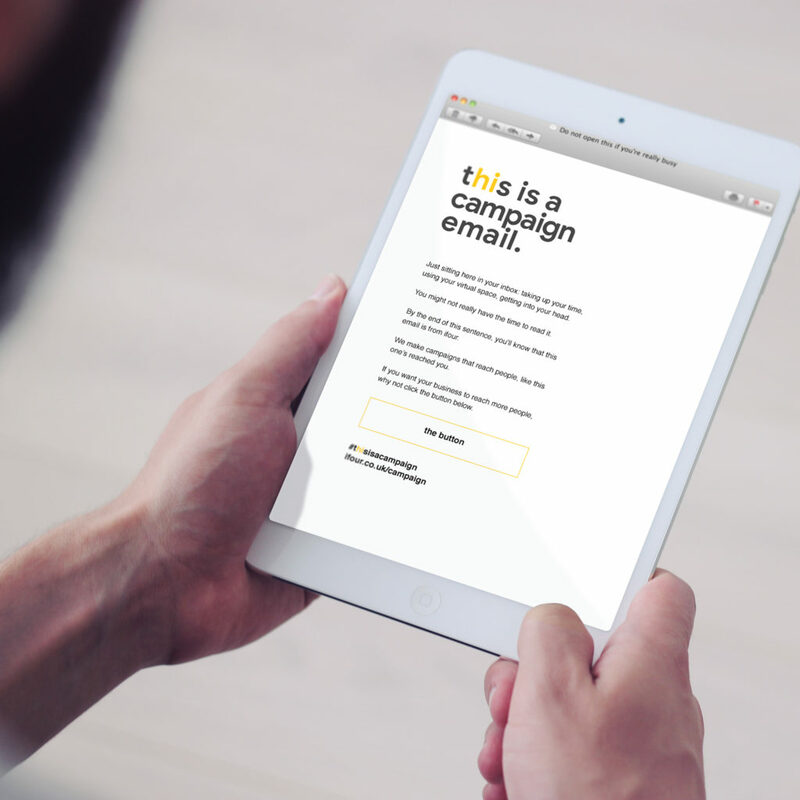 Freedom– campaigns are a relatively low-risk way of testing ideas for your brand. Because they are temporary and by definition a departure from business as usual, they are a great way of playing with new ideas, messaging or aesthetics in a way that is insulated from your main branding. And the response that you get is easier to understand because it is about that single aspect of your offer to a targeted audience. Interesting…. When should I be thinking of using campaigns? Whenever it’s needed. 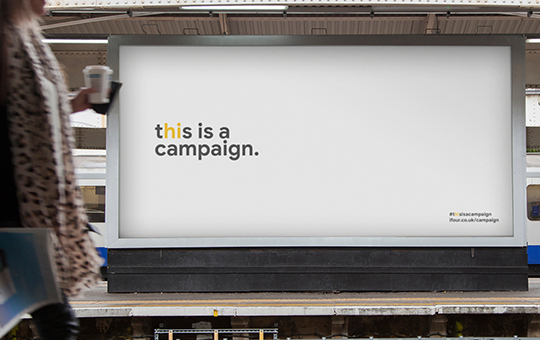 There are no hard and fast rules on when to run a campaign but in our experience the most effective marketers are those who ensure their organisations are campaign-led. This doesn’t mean that they are constantly running campaigns. It does mean that they understand how to punctuate the everyday communication and reinforcement of their overall proposition through BAU marketing with dynamic, impactful campaigns that drive traffic, engage audiences and inspire action. If you need to generate leads or raise awareness about something specific – a new product, service or brand; or you are trying to reach a new audience; or simply if your business as usual marketing is stuck in a rut and failing to ignite the passion it should – you should be considering a campaign. Broadly speaking, the more relevant channels integrated into the activities, the greater the impact. Too kind. 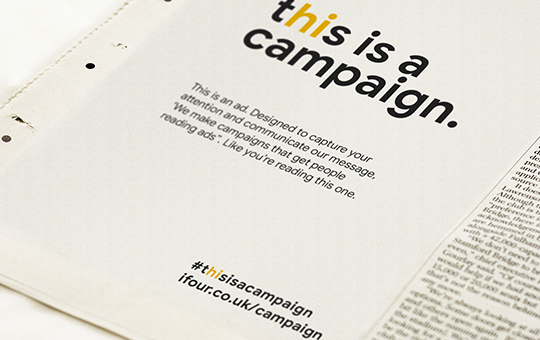 We specialise in creative campaigns that engage, delight and get audiences to take action. We invest a lot of time up-front, researching your target audience to ensure that the right people receive the right message at the right time and you get the greatest possible return on your marketing investment. If you have something to say and you want to say it with passion, energy and wit, get in touch and we will get your target audience to spend some of their valuable time with you so you can tell them what they need to know. Just like you have with us. If you’d like to see more about our #thisisacampaign campaign then take a look here and play our game, feedback we’ve had, this could be the hardest brand tagline game on the internet! *If you need help sharpening up your proposition to your audiences, we can help with that, too!